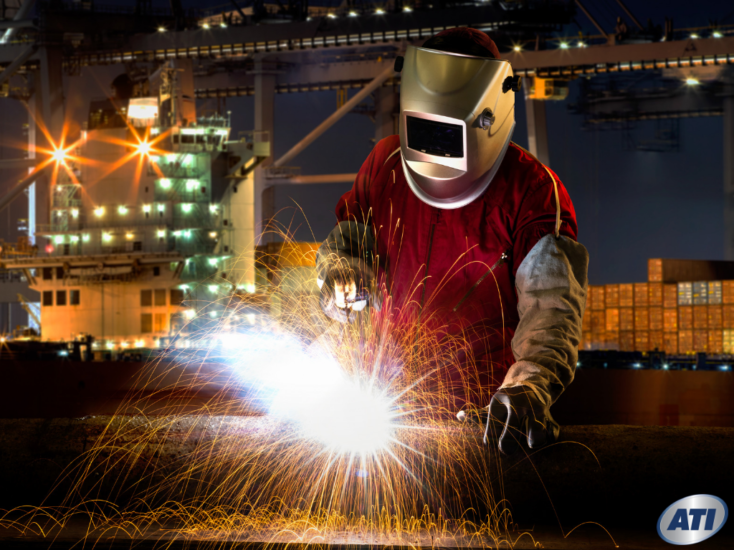 Maritime Welding in Hampton Roads: Is there a High Demand for Welders? 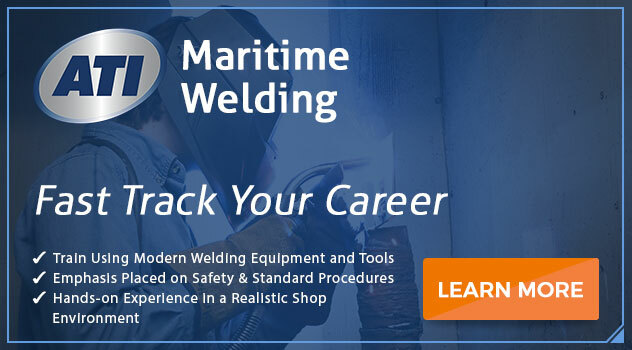 Perhaps you’ve heard that maritime welding is a good career, with plenty of opportunities for the well-trained welder. So what does it take to be a maritime welder? In the past, shipyards often hired entry-level employees. These workers, who had little formal training in welding, were given basic lessons in operating the equipment and started on the job with minimal skills. Nowadays, shipyard companies are looking for employees with more advanced skills. They often want workers who have training in physics, welding equipment care, blueprint reading, metallurgy, and chemistry. To get this level of training, the worker will likely have to start with a degree from a community college or vocational school, and then go on to obtain certifications as the individual’s career progresses. Let’s have a look at what it takes to be a welder in this field these days, and what is your best option for receiving the training you need. Training as a Welder: Apprentice or Formal Education? Learn the basics — When you enroll in formal training, say at a community college or vocational school, you are much more likely to get a thorough, all-around training in the fundamentals of the profession. You will learn different types of welding, while becoming familiar with the equipment, just as you would in an apprenticeship. But with the right program, you’ll also be assured of learning from a seasoned professional who understands the fine art of instruction, whether in the classroom or in the lab. Chances are, you’ll absorb the lessons much better in an educational setting than when you’re being pressured on a job. Classroom experience — Another advantage of formal education is that you share the learning experience with other students. You’ll learn by watching your fellow students and by studying how they go about the tasks. You can also discuss your lessons with your classmates and instructor, asking questions and requesting elaboration as needed. Good equipment — When you enroll in a top program, you’ll have access to good quality equipment and a state-of-the art facility that will help you learn. You’ll also gain access to classroom materials such as books, videos, and manuals that can serve as reference materials throughout your career. Learn networking — An added bonus to enrolling in an educational program is that you can learn networking, as you discuss job opportunities with your instructor and fellow students. Your school will be a good resource when you want to get the skinny on certain employers or types of work. Occupational safety training — Finally, a good training program will teach you about occupational safety. Federal and local regulations govern safety practices whenever workers use equipment that can cause fires or result in explosions or other types of injury such as with the tools used in welding. Not all businesses will put the same emphasis on safety that you can learn from a quality training program. Lots of beginning welders opt to get an entry-level job while they are pursuing their formal training. This allows them to put in practice what they are learning during class, developing skills and gaining experience with the welding equipment. Apprentice welders may even want to discuss some of the welding practices at their place of employment with their fellow students and instructor. This can help the student avoid unsafe or perhaps undesirable work habits that may have been allowed to develop in the place of business. A degree in welding from a vocational school or training institute may be your ticket to a career in maritime welding. Be sure to look for a program that offers core training in construction and repair of equipment and structures built with steel. You may also want to find a program that offers a service management component that gives you a foundation in customer service, communication skills, business management, employee relations, inventory management, and reading financial reports. This type of training can help you if you want to move up the career ladder as a manager, or start your own welding business. If you’re considering maritime welding as a career, you probably know that the Hampton Roads area of Virginia offers some excellent opportunities for hiring, as it is a center for shipbuilding. You may find that earning an Associate Degree in Occupational Science in Maritime Welding Technology With Service Management at ATI, located in Virginia Beach, is the right move for you. Next PostTruck Driver Shortage Solutions: Could Your New Trucking Career Help End This Issue?